Every Java developer heard "Write once run anywhere" more than once. But exactly this is what JVx stands for. Write your application only once and run it on your desktop, as Java application in your browser, as Java Webstart application or as HTML5 application in your browser. Oh, and why not... run it as native application on your mobile devices. Everything is possible and was successfully tested with JVx. As a rule, don't create more than one application for all that platforms. And there's no need to change your source code, to run your application on one or all of those platforms. One code base for all platforms! 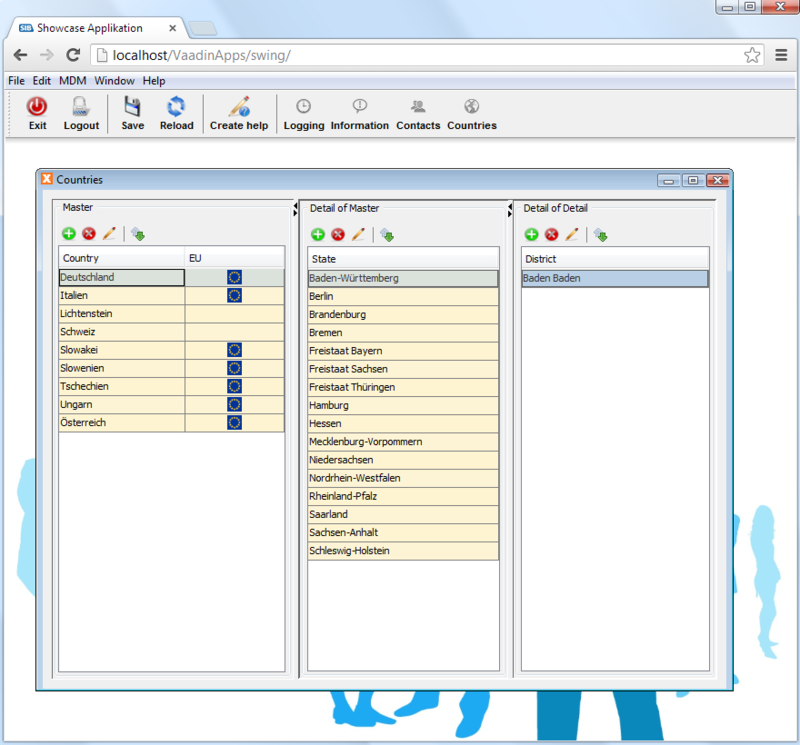 The left screenshot shows a JVx application started as Java application in your Browser. On the right is the same application as desktop version. This was cool some years ago, but isn't nowadays - isn't it? Nowadays you need a modern web application that runs in your browser without plugins. Does anybody know what MDI means and do you think MDI is convenient for modern web applications? We don't think so, because web UIs should be simple and clean. Trust me, it's not a fake. It's the same application as above, but started with JVx' VaadinUI and a different application style. Isn't it amazing? Are you curious? Interested in other screenshots? I'm thrilled and what about you? As I told you, all screenshots were from the same application and without code changes! This is possible because of JVx' single sourcing principle. 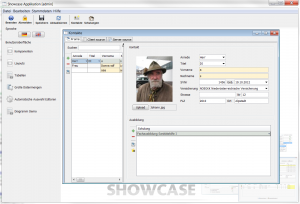 One great feature and a big advantage of JVx is that it doesn't hide the underlying technology from you. If you want use technology specific components or features, just do it. But be aware, if you use technology dependent things you should check the technology first, to be still technology independent and avoid problems! A simple example should explain what I meant. 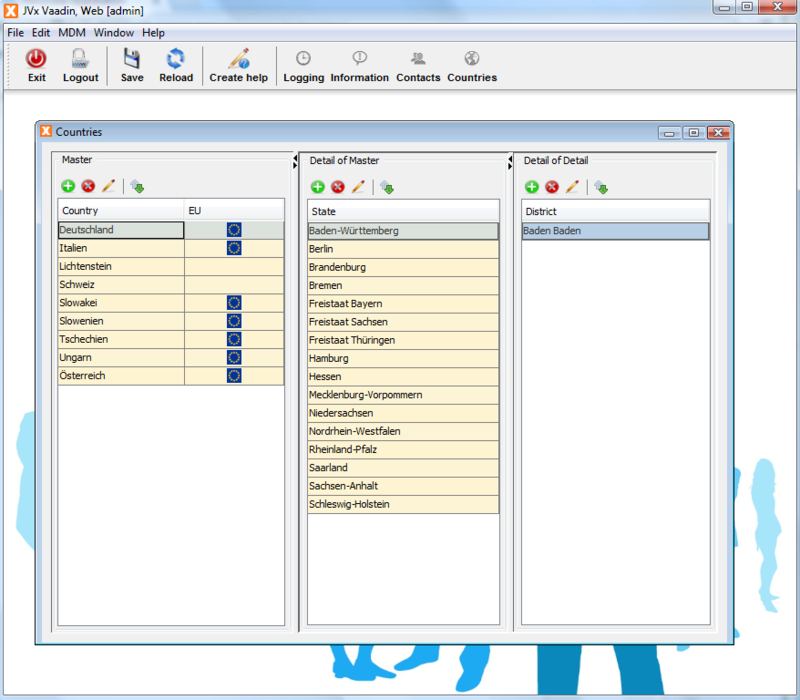 In our example we'll show a standard Vaadin window in our application. We are still technology independent but above code only works with Vaadin! You always have access to the "real" resource via getResource() but the returned object dependes on the used technology. 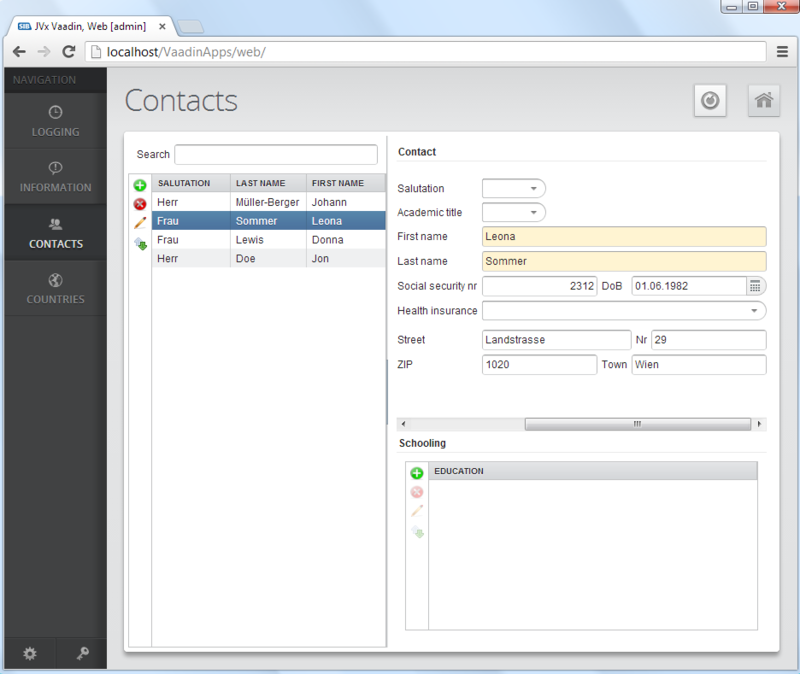 In our example, the UI. 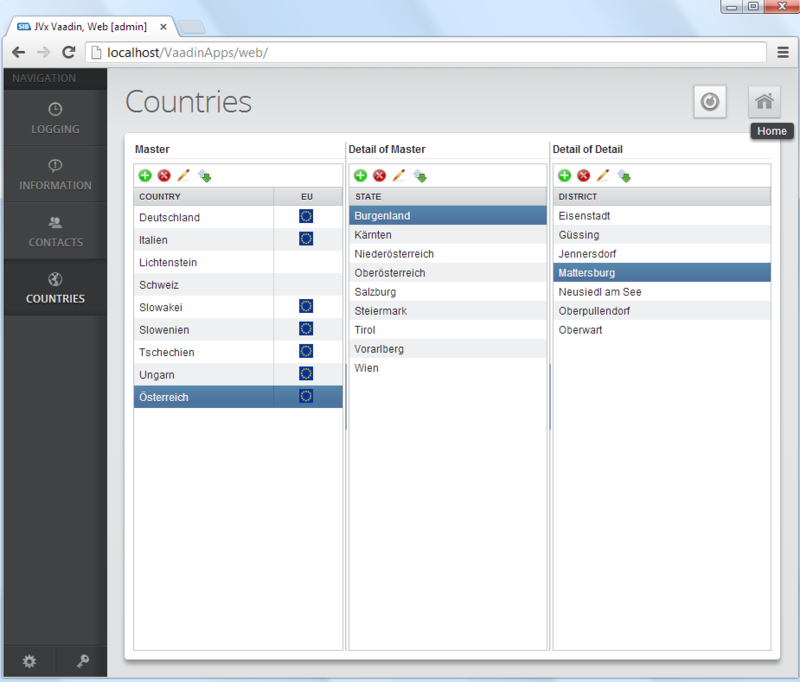 We created a Menu with JVx and added the menu to a standard Vaadin VerctialLayout. The advantage is that we can use JVx' event concept instead of Vaadin' listener concept. How? Technology mixing works in both directions. It's so great! One of the best features of JVx with Vaadin is the usage of CSS. It has never been easier to style your application. Set CSS directly via css file or programmatically via Vaadin API. Some weeks ago, I blogged about JVx with Exchange servers. 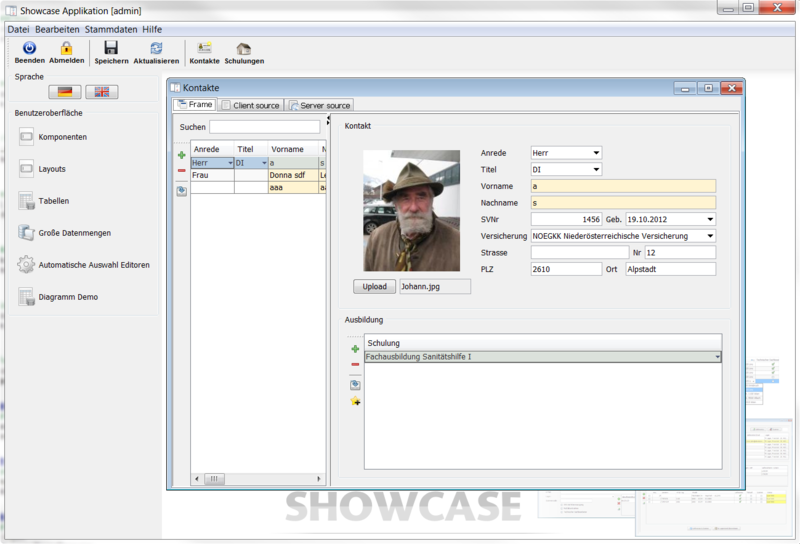 The project now supports Appointments and Tasks. To demonstrate some features, we created an application that integrates powerful frameworks. 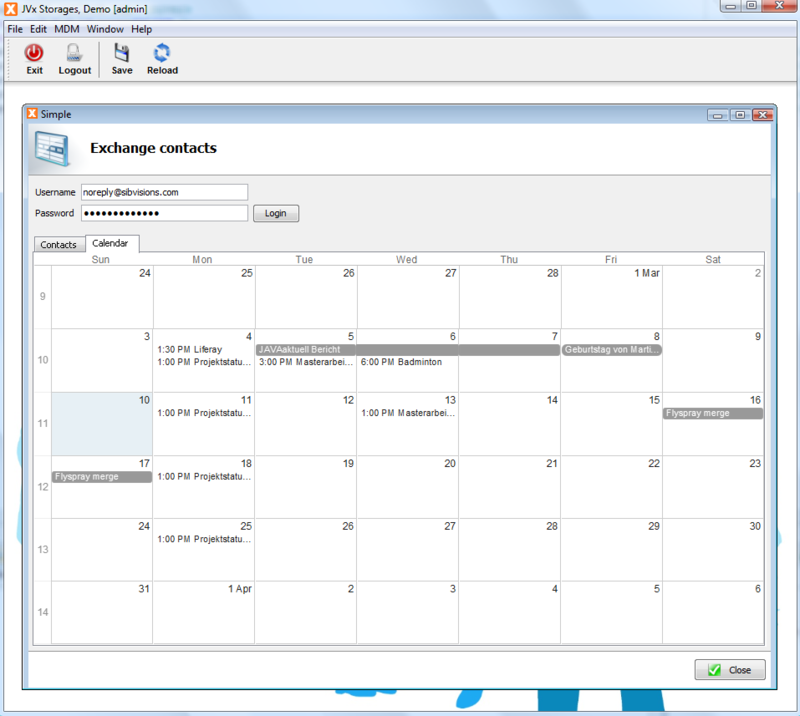 We took Vaadin with Calendar AddOn, JavaFX' webview and integrated all together in a standard JVx application. 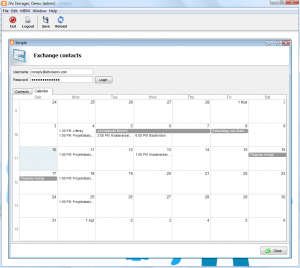 Did you notice that the calendar is a JavaFX WebView? 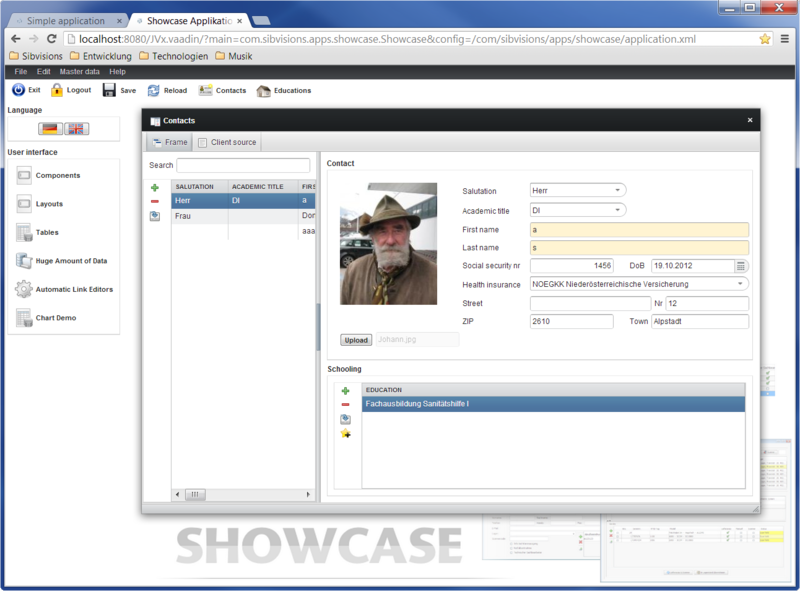 Our exchange storages still use the EWS Java API but now with some tweaks. 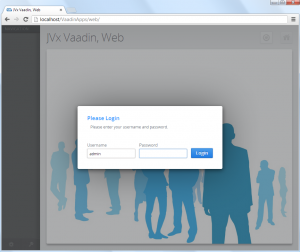 What is JVx Vaadin UI? It's cool. It's modern. It's fantastic. It's the replacement of our GXT WebUI and it's back to the roots - back to Java. 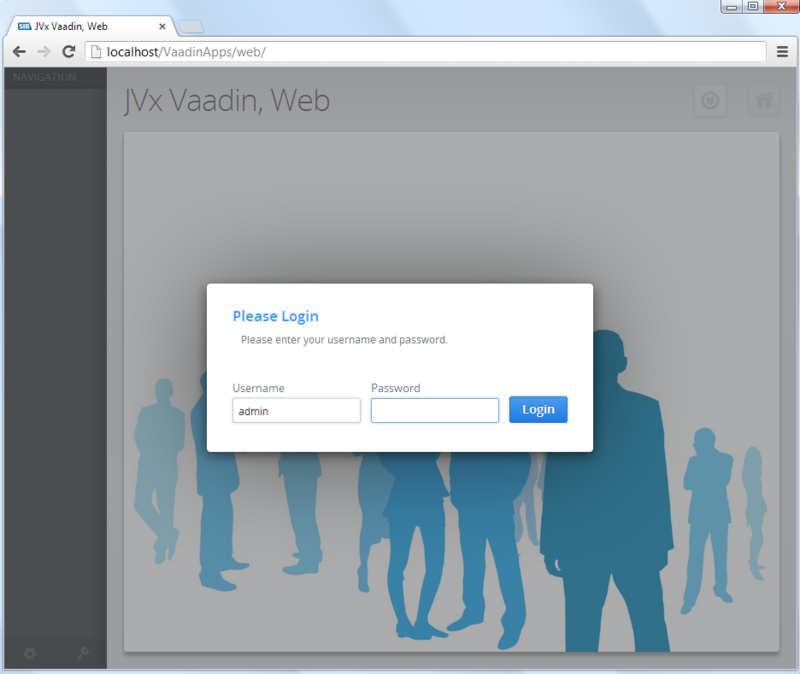 Simply use your existing JVx applications and use Vaadin as UI technology. Develop your application with JVx and start the application as Desktop application with Swing or simply run the same application with Vaadin. There's no need to change your application if want another UI technology! The license of Vaadin is great for business applications and 3rd party extensions. Who needs a cloud IDE? Does a cloud IDE has enough features? The answer to the first question could be: Developers without knowledge of environments. 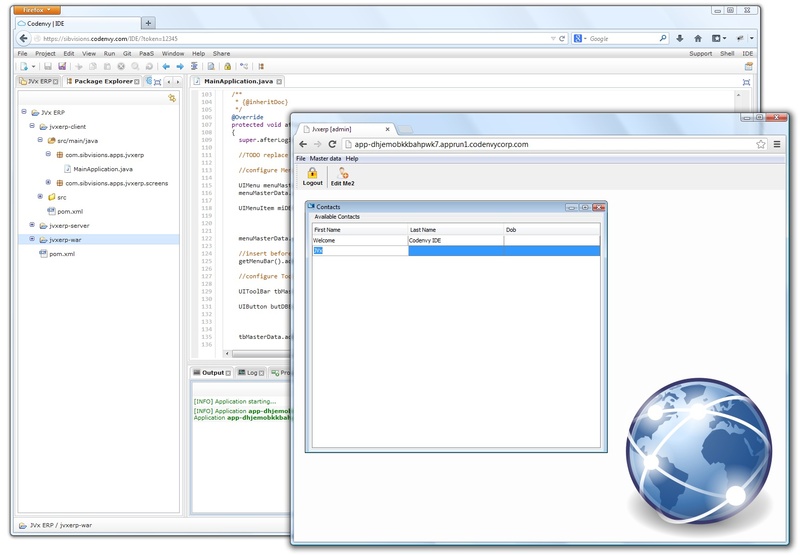 A cloud IDE simply runs, preconfigured with a compiler, preconfigured with a VCS, preconfigured build and or CI, deployment with one or two mouse clicks. If a developer does not know how he could configure all this things manually or with his IDE, he is a potential user of cloud IDEs. As real software developer, you love your desktop IDE because it has all features... but some years ago, before we had Eclipse, Netbeans, IntelliJ or other IDEs, we used text editors and started compilers with scripts. I mean that features are relative because they will be more - it's a matter of time and number of users. Another question was: Does it make sense to develop in the cloud? If you develop web applications for end-users, you won't have problems with SLAs or confidentiality agreements? If you develop applications for business customers, you have to comply with contracts and data privacy. If you develop database applications, you must use a database available in the cloud. If you develop in the cloud you should host everything in the cloud or make everything available in the cloud. If you use a desktop IDE, you are the boss of updates and plugins. If you use a cloud IDE, the provider is the boss and updates whenever it's important or changes functionality whenever he wants. But you are always up-to-date. An IDE in the cloud should be available on any device but is this important? Do you develop with your mobile device while sitting in your living room? I think that cloud IDEs are not an option for "pro" developers, but not every developer is a pro developer or needs much knowledge about complex environments. If a developer is more or less a "user", a cloud IDE will be an option. What is a "user" developer? A developer without knowledge of environment configurations, without knowledge of build/CI systems. A developer that does not develop libraries or frameworks. Often a "pro" developer is also a "user" developer. What has all this to do with JVx? If a developer decides to use a cloud IDE, the IDE should be easy to use without a high learning curve (c'mon it's an IDE not a new programming language). The IDE is free for open source projects (great for JVx) and so it was perfect for our tests. Our plan was to create a simple JVx application and run it in the cloud. The IDE supports some project types and all are based on Maven because the build system uses Maven. It's possible to use preconfigured runtime platforms like Cloudbees. One problem is that it's not possible to create a project from scratch and add a target later. You must choose your target during project creation. Another problem is that it's not possible to use runtime platforms with Multi-module maven projects. We decided to use the integrated runtime platform and didn't use another runtime platform. Not perfect but was OK for our tests. We created a Multi-module Maven project and configured our modules. This was very easy with the IDE and build worked like a charm. Other problems were different restrictions dependent on your project type. It is not possible to Run a Multi-module maven project. It's possible to change the project type via properties, but that's not a good solution because it was not designed for tweaking. The next strange thing was that the UI has a lot of reload problems (endless reloads) and you have to close and open your project(s) to get full UI features for your project. The Run menu was not updated automatically. The biggest problem was that the build system didn't build our project as usual or known from desktop IDEs. We had to find out how it works to deploy our application. The right build order solved our deployment issues. 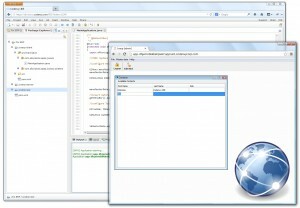 At the end the deployment worked and it was possible to develop with the cloud IDE. One really big problem was that the integrated Java Editor did not show problems or code completition for our project. It worked with different project types but not with ours. The IDE was easy to use because of many restrictions and assumptions how development should be, but it's absolutely not comparable with current desktop IDEs. Not because of missing features, it's because of given structures (predefined structures are important but sometimes they must be changeable). 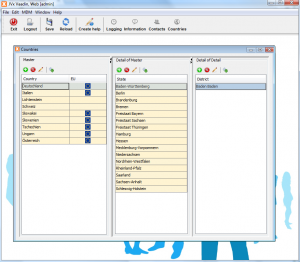 At the end of our experiment, we had a working JVx application - developed in the cloud and deployed in the cloud. Our project is available on github with some installation and usage instructions.